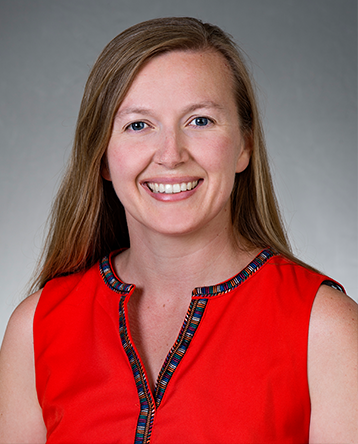 Rebecca Taylor is an assistant professor in the Department of Mechanical Engineering at Carnegie Mellon University, who specializes in modern manufacturing. Throughout her career, Taylor has been driven by the interplay of form and function in good design. As an undergraduate working on a research project on tethered satellites, she discovered the world of honeycomb composite materials and porous sintered polymers. That is where she first learned that mechanical structure could imbue materials with novel and unexpected properties. After college, while working as a mechanical design engineer, she practiced mechanical device design for reliability and ease of manufacture, working as the primary engineer on both medical products and consumer products. Taylor developed an expertise in rapid prototyping and the broad range of techniques for molding and fabrication, as well as factory control and automation. The interplay between medical tools and biological systems formed the foundation of her interest in research, and that interest drew her back to academia. When Taylor returned to graduate school, she focused on microfabrication and biomechanics. At the microscale, the force of gravity is negligible, flow is largely laminar and motion is dampened. The microscale world is a universe of its own, and there are countless opportunites for fabrication of novel microstructured materials. During her Ph.D., Taylor fabricated microscale sensors for the functional assessment of stem cell-derived cardiomyocytes. She utilized sacrificial layers to define the mechanical loading of single heart muscle cells and to perform the first purely axial, contractile force measurements on immature and stem cell-derived cardiomyocytes. She calibrated these sensors using piezoresistive cantilevers and achieved both accurate and precise measurements of nanoNewton-level forces. Taylor also created planar, stretchable biosensors that physically route metal traces away from areas of large strain and achieve constant, stretch-independent electrical properties. As a postdoctoral fellow, she worked at the nanoscale, studying the effects of mutations on cardiac contractile protein. In order to study the emergent mechanics of the multiprotein, acto-myosinc contractile system, she has worked to develop a DNA origami-based synthetic cardiac sarcomere that will allow researchers to observe the cooperative behavior of motors as they scale up towards larger, more biomimetic systems. As a professor, Taylor utilizes DNA origami (bottom up manufacturing) to enable nanomanufacturing and nanomechanics of multiprotein systems. She also continues her investigations into microstructures for biomimetic sensors and actuators (top down manufacturing). The future of manufacturing involves manufacturing across scales, and Taylor is excited to be part of it. Students in Rebecca Taylor's new project-based course explore materials and their properties, modern manufacturing practices, and more. College of Engineering’s Rebecca Taylor earns funding from the U.S. Air Force’s Young Investigator Research Program to develop next generation sensors with DNA and PNA.